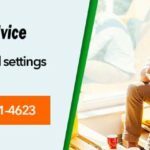 Home » How to Fix Sage 50 Error Code 1603? 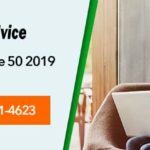 What is Sage 50 Error 1603? Sage 50 Error 1603 is part of the Errors that are caused during the installation of Sage 50 on your system. It is also known as an install shield error as it is often caused by the missing or corrupt installer file in windows. This Error can occur for a variety of reasons like. Third Party software like Antivirus. Many a times you will encounter Error 1721 or 1722 prior to encountering Sage Error 1603. There are a number of solutions based on the type of problem that is causing this particular error. .NET Framework is a software developed by Microsoft and contains a huge amount of libraries with which other software’s run on the Windows platform. For some software’s it is a necessary prerequisite and for others a few libraries of this framework are more than enough. If some library required by Sage 50 has been corrupted then you will need to repair or reinstall the whole program. The setup wizard will try to repair the framework. If this does not rectify the error then you must reinstall the .NET Framework. To do this you need to go to this site and download the installer. Make sure to install .NET Framework 4.5 or above. If you have encrypted the drive or file with a third party software then you need to decrypt it with that software as well. You can also try uninstalling the encryption software from your system. You need appropriate Disk space to install and run Sage 50. If the drive that you are trying to install the software in does not have enough space then this error may occur. To check the disk space you can simply check the disk properties. After doing this you can click on Apply and Ok. Disk Quotas are meant for disabling a single user from using all the disk space. Please note that, you may need Administrator privileges to change Disk Quota Settings. Some changes in Windows require Administrative Privileges. This can cause a user with limited access to not be able to run or install a particular program. To change User Account Access settings you must be logged into an Administrator Account. Select ‘Change User Account and Settings. You will get a vertical bar on the basis of which you can select the level of access you want users to have. You can also go to the user and give them administrator privileges to make changes to software’s. If your Antivirus is the root of the problem then you either need to add Sage 50 as an exception or you need to uninstall your Antivirus. You can contact your service provider to know about how to add a file to exception. Sage Error Code 1603 is a frequent installation error encountered by the user due to the missing or corrupt installer file in windows. There are different ways the error can be resolved. You need to report the error scenario to the Sage Accounting support. 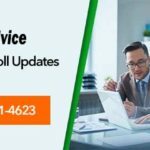 Fetch the toll free number 1800-961-4623 for Sage full support landing to our official webpage www.accountingadvice.co. 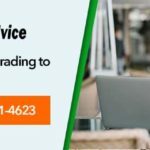 This reliable Sage support agency hires knowledgeable professionals who not only have flawless product information but also error resolution process. They will guide you to resolve the issue easy and quick.